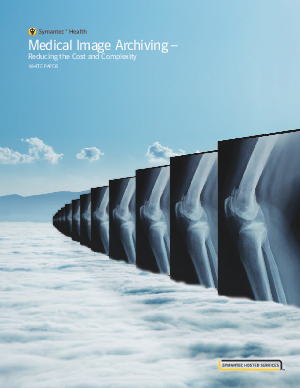 In the healthcare industry, medical image archives are growing exponentially. More studies, larger studies, longer retention, and new modalities are all driving the dramatic increase in storage needs . Facing this growth, healthcare information technology (IT) departments are seeking a way to reduce image archiving costs. Cloud-based archiving is gaining adoption in healthcare as a means to enable disaster recovery, image availability, and even image sharing among physicians and specialists. As more cloud-based image archiving options emerge, confidence in patient record security and privacy become key considerations.